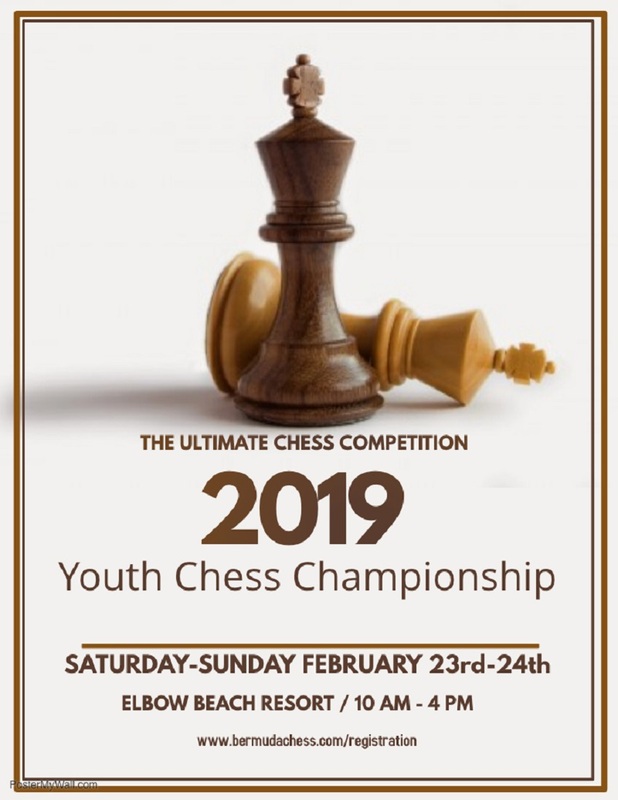 Once again Bermuda’s youth will battle it out across the board, as the Bermuda Chess Association hosts ‘The Bermuda Youth Chess Championship 2019′, during the weekend of February 23 and 24 at Elbow Beach Resort. “It will be a fun event and anyone interested is encouraged to enter. It’s an exciting tournament to attend for supporting families and friends too. Packed lunches can be either brought, or lunch can be purchased at nearby Cafe Lido,” a spokesperson said. “The tournament will consist of 6 rounds in total, with 3 games per player per day. The rounds will start at 10am, 1pm, and 3pm, respectively, on both Saturday and Sunday. After the last games are finished on Sunday, there will be an awards ceremony at the venue. “Time controls will be 30 mins + 30 seconds per player/per game. “All players will receive participation certificates and there will be at least 12 separate categories to battle for, giving everyone a chance to do well. Age categories include under 8, under 10, under 12, under 14 and under 16, with female only categories in all age groups too. “Any interested players, are encouraged to contact bermudachess@gmail.com or register via bermudachess.com/registration. Players who want to register are asked to provide Name, Age, DOB, Gender and School, before Friday 23rd February. Great initiative. Thank you to all volunteers. Best of luck to all young players!